SCOTLAND’S islands councils have demanded more powers regardless of the outcome of next year’s independence referendum as part of a flagship campaign launched Monday. The three authorities – Shetland, Orkney and the Western Isles – want their status recognised and further powers to run their own affairs in a “new Scottish constitutional settlement”. Their “Our Islands – Our Future” campaign wants greater revenue-raising powers, improved energy connections with the mainland and control of the sea bed, allowing revenue to be redirected from the Crown Estate to local need. They also want new tax powers to give islanders more revenue from the renewable energy and fisheries sectors. Campaign leaders say there is a “once-in-a-lifetime opportunity” to push for more powers for the islands as Scotland’s future in the UK is voted on in September 2014. Although the campaign is neutral on the vote, the anti- and pro-independence campaigns will be lobbied on whether they would back greater powers for the islands after the referendum. At the campaign launch, Shetland Islands Council leader Gary Robinson said: “We were promised that devolution wouldn’t stop at Edinburgh, but to a large extent it did. The campaign is planning a major conference in Orkney in September, when figures from both side of the referendum debate will be asked to attend. Orkney Islands Council leader Steven Heddle dismissed suggestions that the islands were campaigning to “go it alone”, but said a new relationship was needed with the rest of Scotland. He said: “We feel that our special circumstances are being ignored. We need recognition of our special status. That’s why we’re challenging the two sides of the argument to say what they would do for us. The campaign was welcomed both by Yes Scotland and the anti-independence group Better Together. A spokesperson for the latter said: “It is welcome that the island councils are making an important contribution to the current debate. 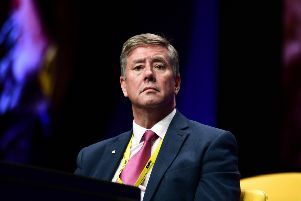 Tavish Scott, the Liberal Democrat MSP for Shetland, backed the councils’ plans to demand greater powers from the Scottish and UK governments.